One girl has already departed on her solo sailing journey around the world, while another girl waits, hoping she, too, is able to go. Australia&apos;s Jessica Watson, 16, left Sunday from Sydney aboard a 34-foot pink sailboat named Ella&apos;s Pink Lady. She hopes to complete her non-stop, unassisted odyssey in about eight months. 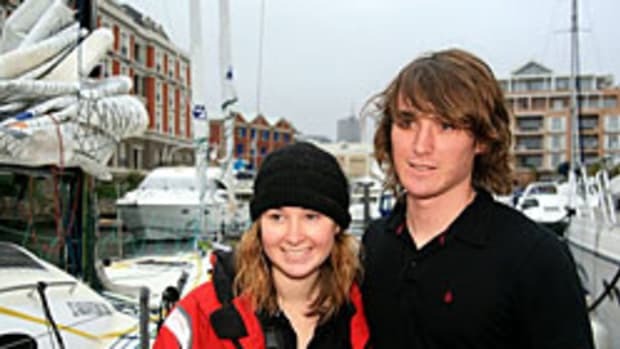 Meanwhile, Abby Sunderland, whose older brother, Zac, recently completed a solo circumnavigation when he was 17, just turned 16 and is planning a late-November departure despite not having an Open 40 sailboat yet.